The Atlanta range provides an impressive selection of fitted furniture designed to transform the appearance and practical ambience of your bathroom. Every feature is embellished with meticulous attention to detail. Every aspect of the design reflects a genuine understanding of customer needs. 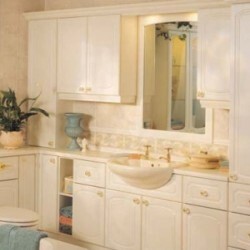 Move up to the world of Atlanta fitted bathroom furniture and enjoy a refreshing discovery. Atlanta bathroom furniture is designed to suit the individual or the family in many different life style variations with each item in the range a special statement in style and practicality. Information and brochures on the Atlanta Bathroom Furniture range is available at Newport Bathroom Centre so please telephone us on 01633 262629 for our latest brochures, prices and offers. Atlanta Celenza has a classic European design in a cherry effect and superbly dramatised by blackstone, high gloss counter tops. Wide, mirrored backs lend glamour to the overall effect, reflecting both natural and artificial light to expand even the smallest space. The smooth bright white finish of Tuscany is brilliantly emphasised by the sculpted profile doors. Creating a superb design which is both practical and strikingly dramatic in mood. The superb design of the Atlanta Stratford uses a light, fresh beech effect to complement its surroundings. The resulting look is both visually satisfying and very relaxing, whether the background decor of the bathroom is rich or soft in tone. Sleek, clean and conventional, York's traditional good looks can nevertheless bring a contemporary ambience to any environment. A Sculptured design on the cabinet frontals provide an aesthetic interest while the understated elegance of its glistening whiteness is the perfect base for unlimited decor options. With beautifully crafted styling, Atlanta Vienna uses a cool soft cream colour finish to achieve a spacious ambience that elegantly reflects the highest levels of practical design. The door and drawer fronts are enhanced by a handsome sculpted profile effect which adds to the truly luxurious impression created by this spectacular Atlanta range. 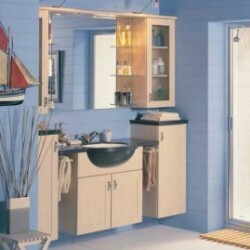 The bathroom feels more comfortable, and everything is easy to keep tidy. Atlanta are so confident in the quality of their range; they back your purchase with an exclusive 5 Year Guarantee. Inspired choice is reflected in 21 superb door finishes and an extensive range of exciting cabinet colours. Whether your preference is for rigid or home assembly furniture, all cabinets are produced to the same high specification. Selective Timbermatch designs provide stylish solutions in co-ordinated timber effect finishes. Atlanta produce a number of ranges of superb bathroom furniture each with a large number of products and options which even a great shopping website like this one can not do justice to. Therefore rather than just selling you products we would prefer you to see the whole Atlanta range in their brochure. If you would like a brochure then please order one via this site The brochure will cost £2 to cover postage but we will include a voucher which entitles you to a 25% discount on RRP on any Atlanta order placed with us (valid for 6 months, can not be used with any other Atlanta offers). 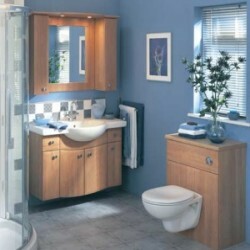 Then you can contact us and we can discuss and design your bathroom furniture with you. Alternatively if you already know what you want then please telephone us on 01633 262629 for some great prices and further information.